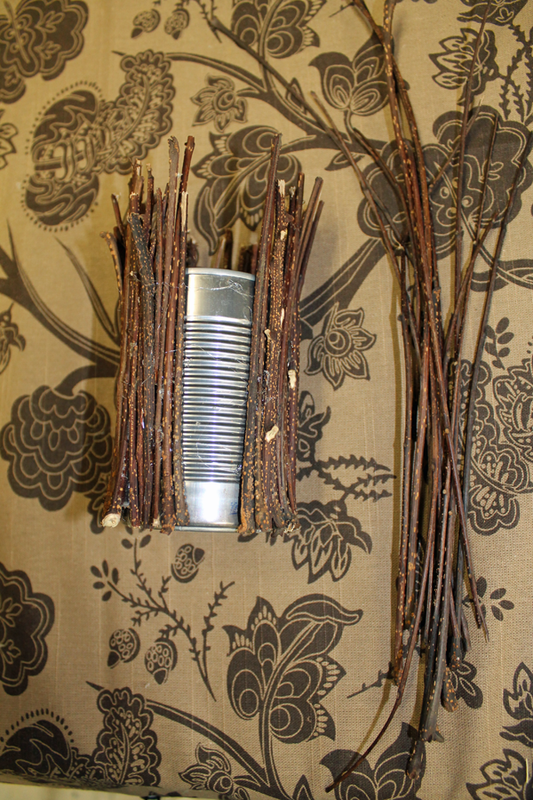 We love upcycling materials around the house. One weekend while playing in the backyard, the little gardeners gathers up a bunch of sticks from our rain tree. 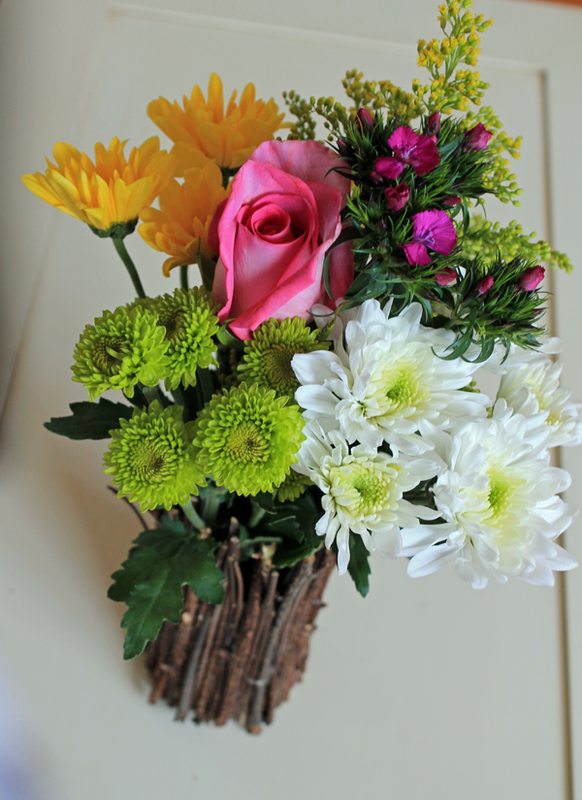 We decided to glue them to a washed tin can to make a little backyard vase. 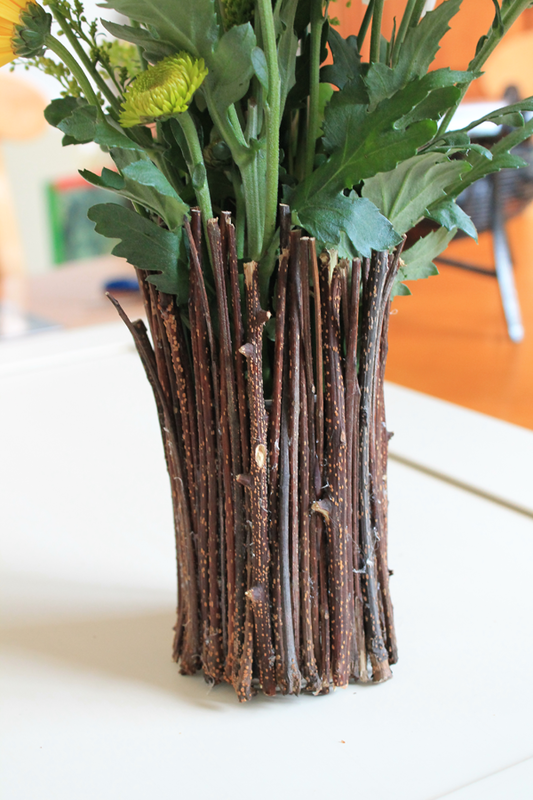 We left the sticks different lengths to help arrange and hold the flowers. We doubled up the stick layers to cover the aluminum. 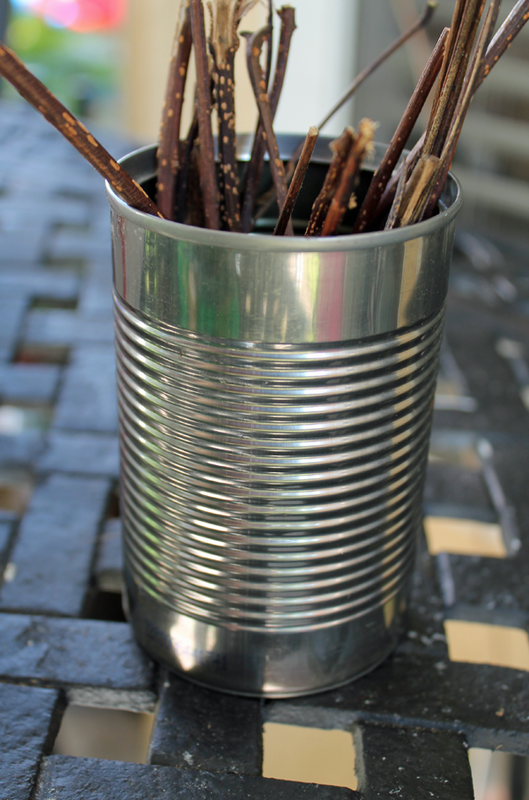 You could also paint the tin can for a little extra color to show through. 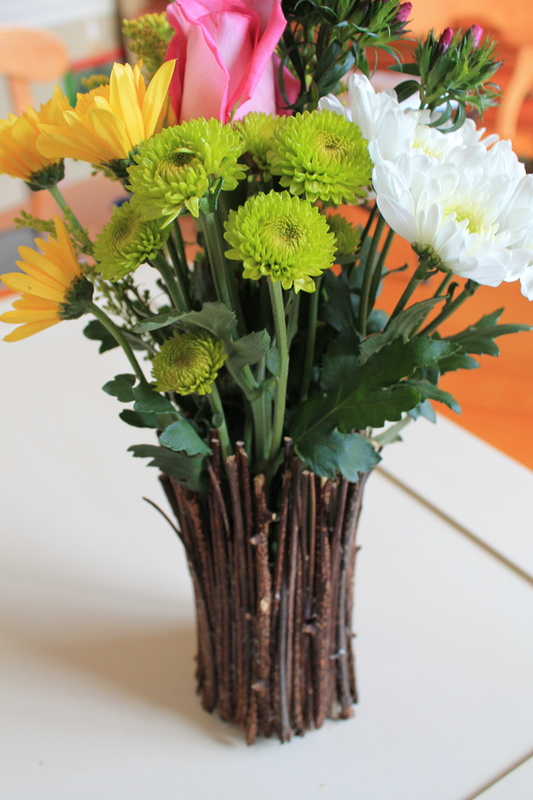 We’ve been enjoying flowers in our eco-friendly little vase all week! How pretty Bee, what a great idea, thanks for sharing! That’s so cute, Bee! Look for a spot on Love 2 DIY this weekend.